Ask us about availability and discounted prices! Please enter your arrival date. Please enter number of adults. Please enter number of children. *Student 15-17 years & Senior 60+ years; ID to be presented. Your camera and a sense of fun! Cruise Whitsundays will show you an amazing day on Whitsunday and Hamilton Islands. 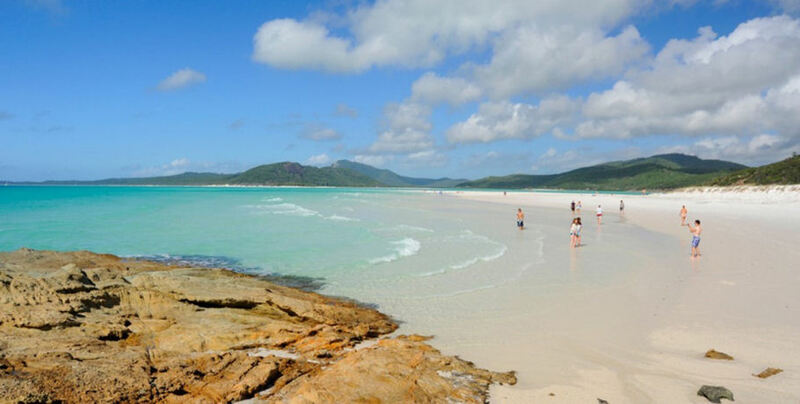 On Whitsunday Island you will be taken to Whitehaven Beach for the most jaw-dropping scenery in Australia! And the famous holiday destination of Hamilton Island offers anything you could want from your tropical holiday and more! 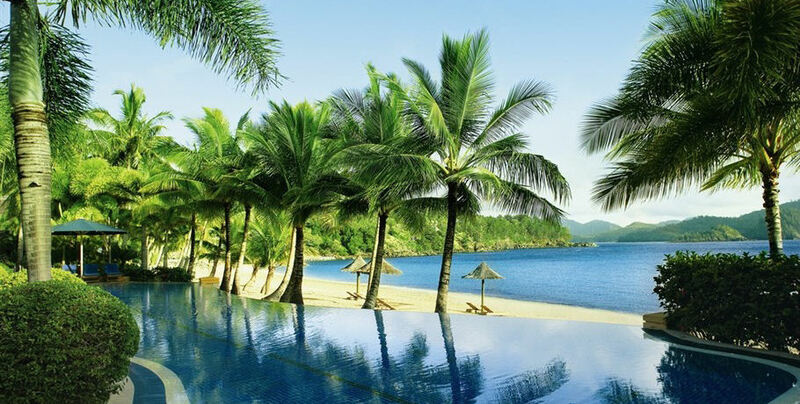 Your first destination of the day is the incredible Hamilton Island. You can use the free shuttle bus to tour around the island and scope out some of the key attractions and beautiful lookouts on offer. Choose from stunning Catseye Beach or the lovely resort swimming pool for taking a cool dip or head up to the amazing One Tree Hill for incredible panoramic views. Don’t forget to leave time to cruise the Front Street and Marina Village for some boutique shopping before enjoying a pub lunch at the Marina Tavern. The Whitehaven Beach segment of your day involves a scenic cruise down the 7km stretch of beach to your landing point. Sink your toes into the soft white sand and splash in the turquoise waters of the Coral Sea. Enjoy your cruise home with a delicious wine or beer and let the sun soak your skin. Please Note: You have the option to visit Whitehaven Beach in the morning and Hamilton Island in the afternoon, if you prefer. Your tour will then be departing at 7:15am. Please Note: This is a sample tour plan; your itinerary is based on the weather and tidal conditions experienced at the time of travel. Please Note: A cancellation and amendment policy applies to all bookings. Please refer to our Cancellation and Amendment terms below or contact us for further details. “supplier” means any tour operator or other supplier of the services “you” means the guest booking and person named on this reservation booking “we”, “our” means The Whitsundays Central Reservations Centre and A.J.LAURENT PTY LTD These terms and conditions apply to all bookings made through The Whitsundays Central Reservations Centre. Placing a booking with The Whitsundays Central Reservations Centre and paying a deposit constitute acceptance of these terms and conditions. For bookings made more than 30 days prior to travel, a 25% deposit is due to secure your booking with the balance due 30 days prior to travel. For bookings made within 30 days of travel, the full payment is due immediately to secure your booking. If we do not receive your full payment within 30 days of your travel date and you do not contact us to cancel, your deposit is forfeited and your booking may be automatically cancelled by us, the supplier or both. Prices are quoted in Australian dollars, inclusive of GST, and all payments must be made in Australian dollars. Your reservation will only be confirmed when funds have been received and are cleared. The Whitsundays Central Reservations Centre is not responsible for delays in postal delivery, bank or payment system processing. It is your responsibility to ensure that payments are received within the times specified. If the deposit or final payment is not received by the due date, The Whitsundays Central Reservations Centre has the right cancel the booking. If your final payment is not paid by the due date and in any event within 30 days of your departure, we have the right to cancel your booking and retain the deposit in full without any reimbursement to cover our costs and those of any supplier. If you wish to cancel or amend any booking made you need to contact us in writing. You can only cancel or amend a confirmed booking by contacting us directly. If you do not contact us to cancel prior to your booking departure date, you may forfeit your deposit and further costs. Any cancellation or amendment made more than 30 days before travel will incur an administration fee of 25% of the total booking fee. All cancellations or amendments made within 30 days of your travel date departure will incur both an administration fee of 25% in addition to the individual supplier’s fees. Any changes requested to your booking, including but not limited to dates, are subject to availability and if they are not available, you may be required to cancel and agree to the cancellation terms. IMPORTANT NOTE: Some services and activities may not permit any refund for certain bookings. You should check with the individual supplier or The Whitsundays Central Reservations Centre prior to paying for your booking to confirm any special non-refundable conditions. We recommend that you take out travel insurance to cover your reservation, and valuable items (e.g. cameras). Your travel insurance policy should include coverage to protect against unforeseen and last-minute cancellations or medical conditions that may prevent travel and also to cover any medical emergencies during travel at minimum. In the unlikely case of a vessel break down, maintenance or unavailability, the supplier will supply an alternate vessel of a similar standard and quality. Itineraries may be affected by elements beyond our and the supplier’s control such as wind, tide, rain, storm or other weather conditions which make travel dangerous and require a delay or cancellation. It is the skipper's requirement to ensure passenger safety at all times and may use his/her professional judgment in any manner to keep his/her guests and crew safe. In the instance of such delay or cancellation, alternative options will be provided by the supplier. In the event a cancellation or delay occurs and your tour or service is cancelled and rescheduled, you will receive a full refund if you are unable to rebook your tour or service. You are using these services and taking any tours at your own risk. We are not responsible for any loss or damage, including direct, indirect or consequential loss you may suffer as a result of your reservation, booking or anything related to your tour or services provided by any supplier. You need to ensure you are medically sound, fit and physically able to use the services. We are not liable for the event that you are refused access to any services or tours due to your medical, physical or other reasons, including intoxication. Any such claims should be addressed to the suppliers directly. You should note that sailing can be a dangerous activity and while crews will make every effort to ensure your safety, they cannot be accountable for actions or injury to you that may be ‘beyond their control’. Every effort is make to ensure your safety and you may be required to complete a pre departure questionnaire, and sign a travel agreement waiver during the check-in process of your tour with the supplier directly. We are not affiliated with nor responsible for our suppliers in any way other than as intermediary to arrange their services on you and their behalf. If you have any issues, injury, suffer any loss or damage, you need to take it up with the supplier directly. If we are obligated to cancel your travel arrangements for any reason, the liability of will be limited to a refund of all monies paid by you. All prices are stated in Australian dollars and include GST. Prices valid for travel from 1 April 2017 to 31 March 2018 where stated.Child fares are for children aged between the ages of 4 to 14 inclusive.Infants under 4 travel FOC but must be advised at time of booking. With the exception of Great Barrier Reef Adventures and Camira Sailing Adventure infant meals are not included on Day Cruises.All inclusions are as indicated on the websites at time of travel. If not stated as included the item/s are at guests own cost.Cruise Whitsundays reserves the right to alter prices, alter itineraries, apply a fuel surcharge, cancel departures, arrange alternative transport and vary itineraries and services if necessary.All cruises are subject to sea and weather conditions particularly in the interest of passenger safety.Should the company be forced to cancel a cruise our liability is limited to offering an alternative cruise or appropriate refund no greater than the fare paid.Cruise Whitsundays cannot be held responsible for missed flights or consequent costs due to late arrival at airline check-in counter whatever the cause.Travel insurance is recommended for all bookings.The company shall not be held responsible for any property loss or damage and/or any claim resulting from personal injury or death arising whilst travelling with the company, participating in activities, on the vessel or pontoon or other company property. This disclaimer applies irrespective of the cause.Where another company or persons operate the service such as transfers, diving and helicopter flights, Cruise Whitsundays is acting only as a Sales Agent. Responsibility and liability for the operation lies with that operator.Payment and Cancellation fees:Day Cruises: No show and 24 hours or less notice cancellation is 100% of fare. 24 hours - 48 hours 50% of fare. Transfer to another Cruise Whitsundays cruise with more than 48 hours’ notice incurs no fee and is subject to availability. Transfer to another Cruise Whitsundays cruise with less than 48 hours’ notice is subject to availability and if new fare is less then no refund will be made and if new fare is higher payment of the difference is required. Experience all the sights of the Whitsundays in a thrilling over-reef 60 minute flight! Enquire now to find out how you can get your heart racing today! See the Whitsundays from all angles on this air, land and sea adventure spectacular! With visits to some of the most iconic Great Barrier Reef locations- score major brownie points today! Enjoy all the sights of the Whitsunday Islands in a stunning half day experience! Fly low over the Great Barrier Reef and sink your toes into the pure white silica sand of Whitehaven Beach- book today! During this spectacular seaplane experience you will get to enjoy the pure swirling sands of Whitehaven Beach without the crowds! Relax, sunbathe, swim and explore on your own private stretch of sand today! Perfect for those without strong sea legs this purpose-built jet boat will have you seeing all the wonders of the Whitsunday Islands without the sea sickness! Enquire now for fun for the whole family! You can’t miss this beautiful purple catamaran and you won’t want to! Offering an exciting day sail in the beautiful Whitsundays- you will walk on Whitehaven and swim coral reefs under the warm Aussie sun! Book today! See the absolute best of the best with Cruise Whitsundays! 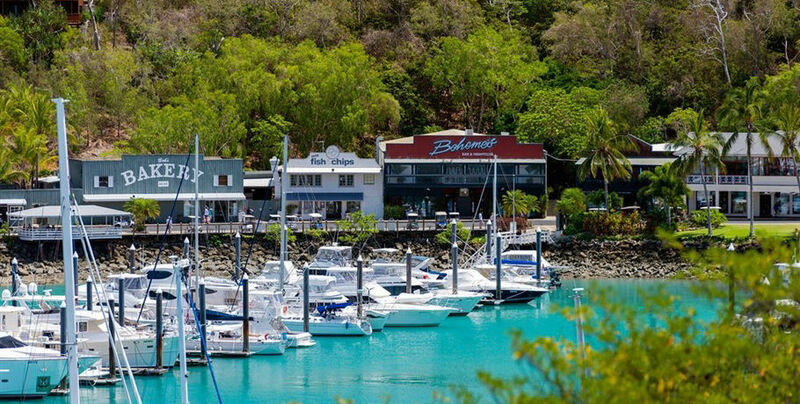 This tour covers everything you would expect from the ultimate Whitsunday day out- book now! Whitsunday Island and Hamilton Island hold some of the most iconic locations in the Great Barrier Reef Marine Park. Cruise Whitsundays will show you a day out that will quickly become the highlight of your holiday! Mix adrenaline and relaxation in the beautiful Whitsundays with the Jetski Adventure and Whitehaven Beach! Spend the morning making waves and the afternoon dipping your toes in the water with Cruise Whitsundays! 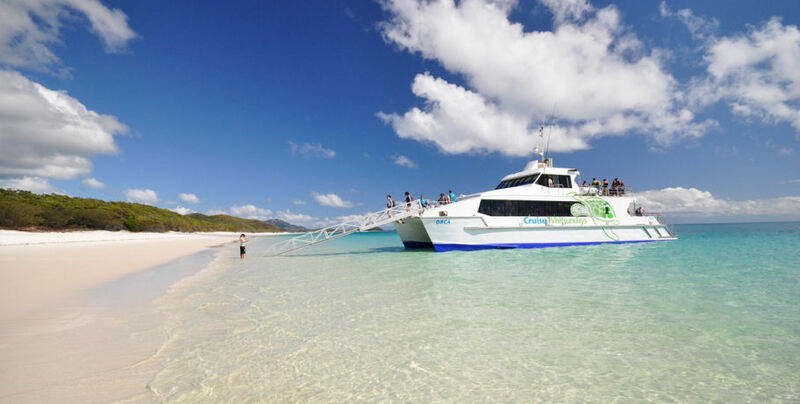 Enjoy a fantastic half day cruise to the stunning Whitehaven Beach with Cruise Whitsundays! See only the very best in total luxury on this famous beach today! Can not decide how to spend the best day of your life? The Fly & Cruise Package Combines GSL Aviation’s signature Reef and Island Scenic Flight with the smooth and fast cruising of the Whitsunday Bullet. Visit and snorkel the Whitsunday Islands on board the GSL Marine - Whitsundays Boat Tour, explore Whitehaven Beach, the Hill Inlet Lookout and snorkel the Great Barrier Reef Marine Park. Whitsundays Boat Tour, Game Changer is the perfect day tour for you! Enquire Now. Our signature one-hour scenic flight offers stunning views of the 74 Whitsunday Islands and iconic coral formations that make up the Great Barrier Reef! This flight is not to be missed for a truly remarkable Whitsunday experience! Do you want to surprise that special someone with the most memorable flight of your life? Visit the most romantic sights of the Whitsundays in this once in a lifetime helicopter experience. Enquire now! 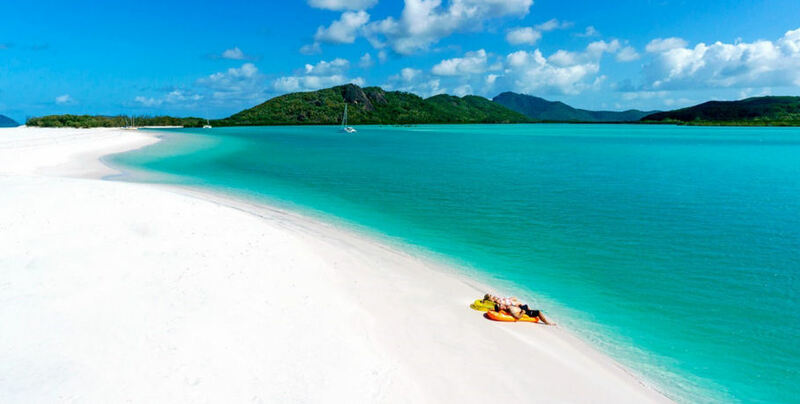 If you’re looking for the fastest way to visit the world-famous Whitehaven Beach, then look no further! 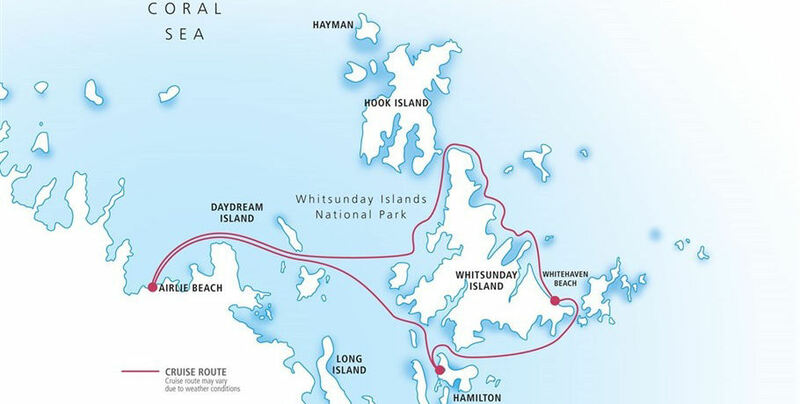 Maximise your time on this iconic Whitsunday location with our tour today! Marvel at the spectacular Great Barrier Reef from the pure luxury of a helicopter then get up close and personal from Cruise Whitsundays Reefworld! Perfect for a couple wishing to share a magical experience! Lady Enid is a luxury yacht available exclusively for adults for a group sail in the stunning Whitsundays! Swim and snorkel the vibrant coral reefs in this relaxing day out on the water! MV Mantaray is perfect for the families that can’t agree! There are multiple options to dive, snorkel, sunbathe, and relax in the Whitsundays with this full day tour. Book today! Enjoy a half day experience on an incredible Ocean Rafting adventure! Swim at two stunning reef locations and sink your toes into silica sand in this great day out for the whole family! 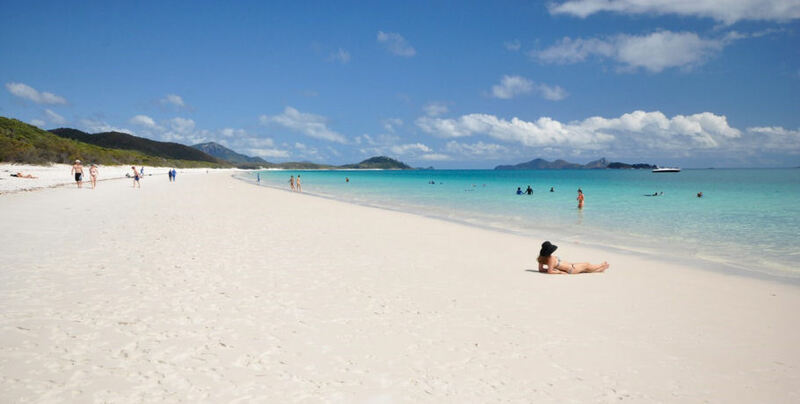 Spend as much time as possible on the iconic Whitehaven Beach! Swim the Coral Sea and bask in tropical sunshine while travelling in the incredible Ocean Rafting speed boat! Perfect for families! Ocean Rafting Fly & Raft Package provides the best view from above, on, and below the water in the stunning Whitsundays! Enjoy a scenic flight over the Great Barrier Reef and choose from either the Southern Lights or Northern Exposure tour for the best day in the sun! This 60-minute scenic flight will be the highlight of your Whitsunday stay! See the iconic sights of the Great Barrier Reef from the best vantage point available. Enquire now! Snorkel in the most magnificent coral gardens of the Whitsundays and stroll along the world-famous Whitehaven Beach on this fabulous day sail with Providence V. Experience the sailing of yesteryear today! Choose from two special tours in this family friendly day out on the water! 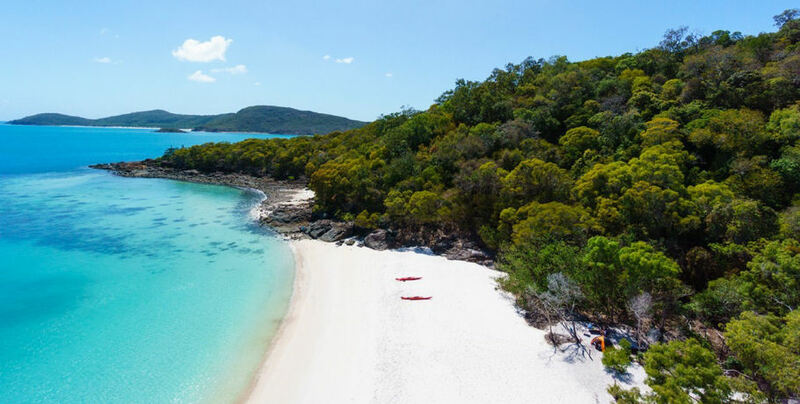 Both will involve visits to the stunning Whitehaven Beach and incredible snorkelling opportunities on the fringing coral reefs of the Whitsundays. Not to be missed! Camp in the beautiful Whitsundays with the Scamper Camping Transfer. It’s an adult choose-your-own-adventure with amazing overnight stays in some of the best National Parks on the Whitsunday Islands! Enquire now! Sail the Whitsundays in speed and style aboard ex-racing yacht the Southern Cross! This breath-taking day experience takes you to the iconic Whitsunday locations including Whitehaven Beach and the Great Barrier Reef. Enquire now! This award-winning tour offers an exhilarating 600-horsepower experience in the magical Whitsunday Islands! Enjoy a snorkelling adventure and a visit to Whitehaven Beach to make memories to last a lifetime! Get the most out of your visit to the Whitsundays by combining two of the very best day tours on offer! Chill and sail one day and get your thrills on a high-speed adventure the next! Book today! Spend a day exploring beautiful Palm Bay Resort on Long Island and let the cool breeze push all your worries away! Book today to secure your place on this secluded tropical island paradise! 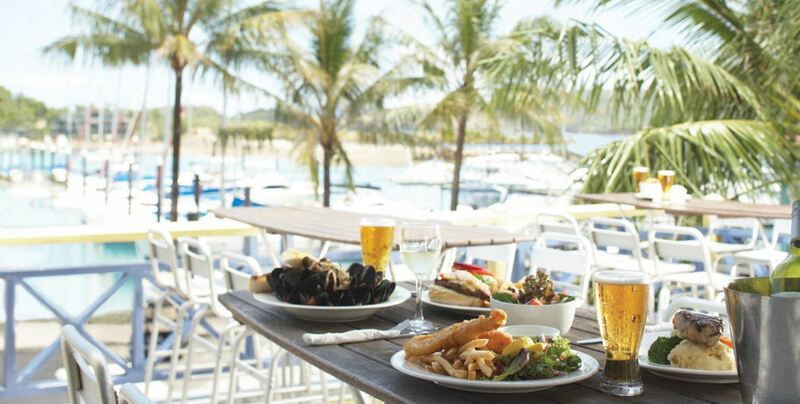 Have the perfect family day out on the iconic Hamilton Island! 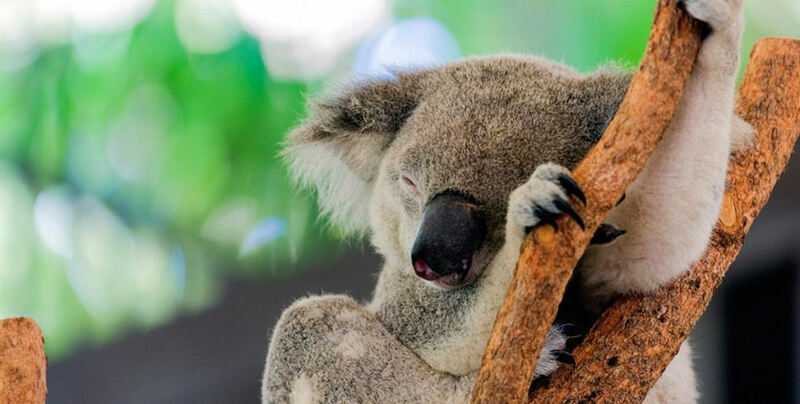 Cuddle koalas and explore the beauty of the national park before burning some energy with all of the incredible activities available- this day is literally fun for the whole family! 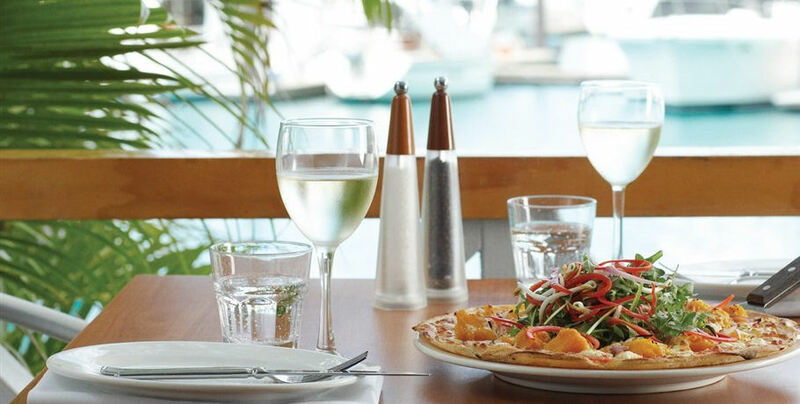 It’s exactly what it says on the tin- this tour is about enjoying Hamilton Island: YOUR WAY! Enquire now to see how you can experience the magic of Hammo from your mainland accommodation. Experience the magic of the links in stunning Whitsunday paradise! This championship golf course is nestled on Dent Island and will make even the grumpiest golfer grin! Explore the exquisite natural beauty of Hamilton Island with Cruise Whitsundays! Breakfast with cuddly koalas and trek untouched bushland on this incredible day tour- enquire now! Jetski to Paradise and escape the crowds to the exclusive Whitsundays Paradise Cove Resort. This is a great combination of adventure and relaxation all in one. Enquire now for more info. The Ultimate Island Trek says it all! Enjoy an epic adventure by Jetski to a tropical oasis - enquire now for more details!The Ultimate Island Trek says it all! Enjoy an epic Whitsundays adventure by Jetski to a tropical oasis - enquire now for more details!